Each April, NBCUniversal celebrates Earth Week and uses it as an opportunity to bring green to its vast and diverse cross-company audience. For 2013, the company decided that, during Earth Week, its brands would host online "Share and Tell" parties via yerdle apps on their Facebook pages. Through these digital events, brands would "share" items from their shows and talents and "tell" the stories behind them. Consumers could then join yerdle to enter to win those items. Through the apps, they would also receive information about the sharing economy, and how it can help them save money--and the planet. On April 18, NBCUniversal kicked off its "Share and Tell" campaign on 33 NBCUniversal Facebook pages. 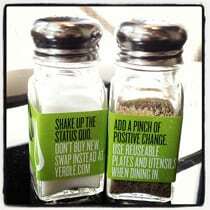 Via the customized "Share and Tell" Facebook apps, consumers could read about how "sharing is the new shopping," and how the sharing economy reduces waste and saves resources. They could also learn more about each brand's "Share and Tell" party. Throughout the 11 days the "Share and Tell" parties were live, the "Share and Tell" apps received high engagement, with 8,777 views with an average stay close to one minute; 2,379 people attended the parties and shared 2,337 items. Cone counseled Nestlé Waters North America (NWNA) on stakeholder engagement and a materiality assessment for its 2012 Creating Shared Value (CSV) Report. Cone proposed to NWNA a live Twitter Chat to discuss the 2012 Report findings in a public setting where stakeholders could participate in an active dialogue with the company. 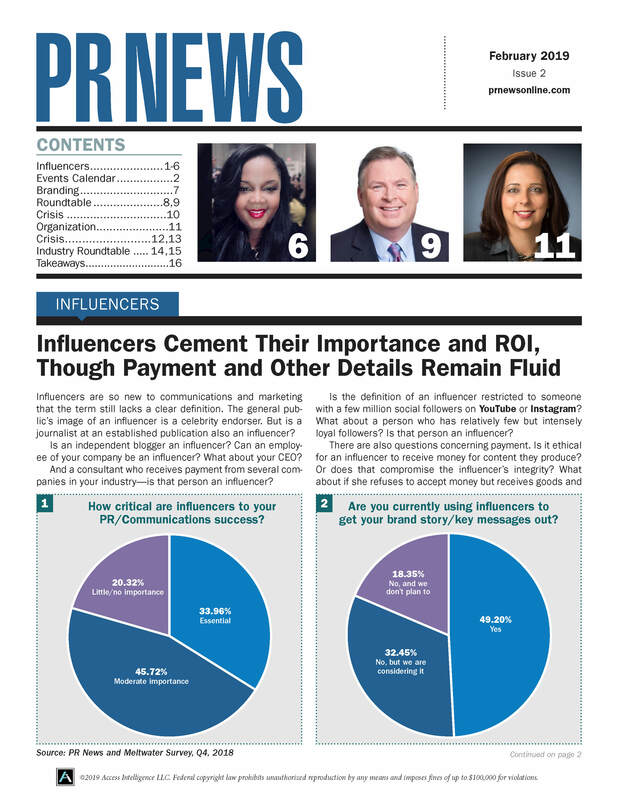 Cone recommended that NWNA partner with two CSR media influencers, CSRwire and Triple Pundit. The partnership would provide the opportunity to leverage CSRwire and Triple Pundit’s wide networks of influencers and thought leaders and connect them to the company’s CSV vision and key CSR messages. 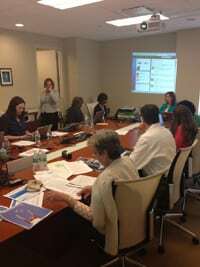 The Twitter Chat campaign addressed both business and social objectives, including: enhancing NWNA’s reputation and perception that the company is a responsible corporate citizen; building goodwill around the NWNA brand by directly addressing its stakeholders; identifying relevant CSR professionals and stakeholders on Twitter for NWNA to engage with beyond the Twitter Chat; gaining social media engagement and new followers for the @NestleWatersNA Twitter handle; creating media partnerships with CSR influencers CSRwire and Triple Pundit; demonstrating to NWNA executives the value of transparency around material CSR issues. The Twitter Chat campaign successfully met its objectives, which included an estimated reach of more than 560,000 Twitter accounts; netting an exposure of almost 5 million unique impressions; and more than 1,000 tweets and 283 participants.